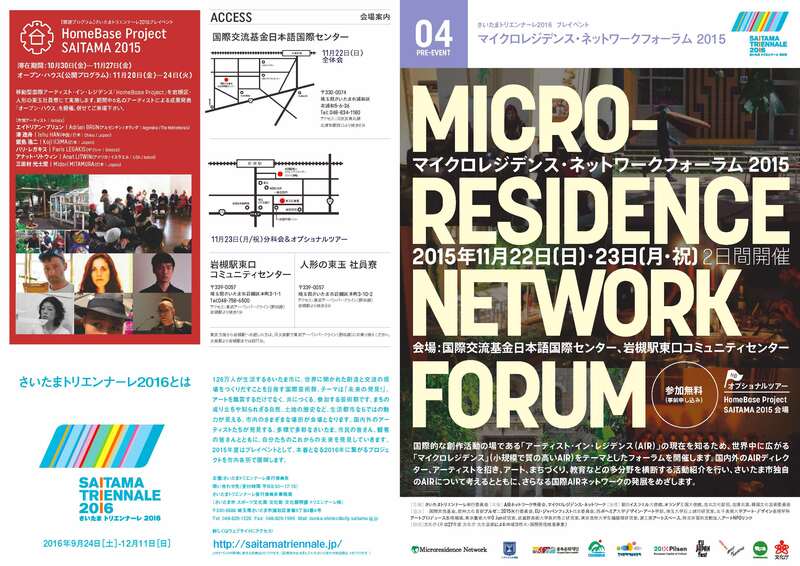 Microresidence Network » Microresidence Network Forum 2015 at Saitama, Japan!! 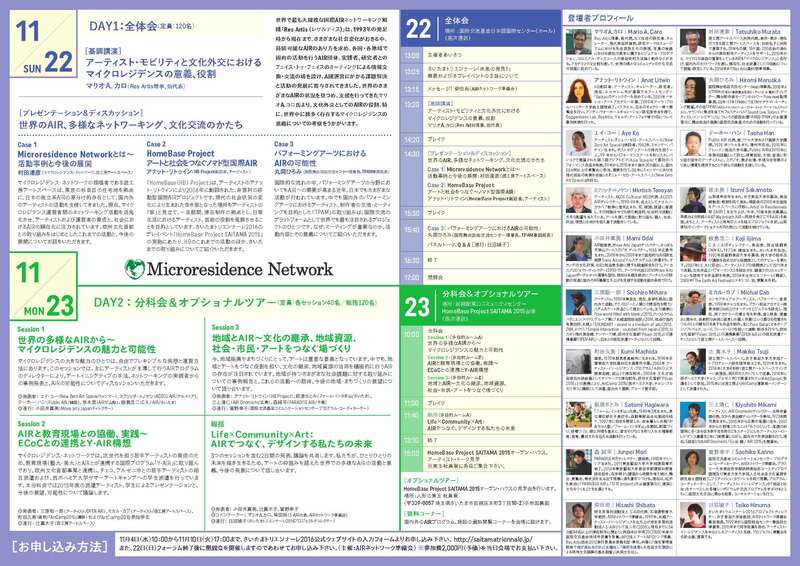 Microresidence Network Forum 2015 at Saitama, Japan!! 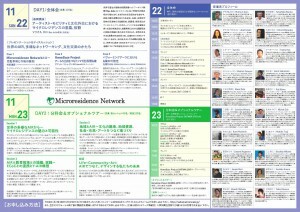 The Microresidence Network Forum 2015 is scheduled to be held in November of this year in Saitama City, a large city next to Tokyo that will be host to the Saitama Triennale in 2016. We apologise for this very sudden announcement, but we hope you will be able to attend. (※Attendance is voluntary.) For the purpose of the Network’s future development, contributions in the form of messages are also most welcome. On the occasion of a pre-event to the Saitama Triennale 2016, a forum inviting domestic and international AIR directors and artists will be held in order to ascertain the current state of Artist-in-Residencies (AIR) – art spaces that support creative activities on an international level. 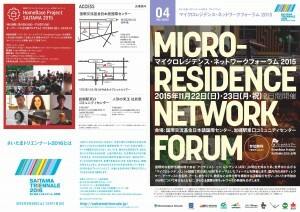 Focusing on “microresidencies” (small-scale AIR of a high standard), this forum will comprise a survey of the current state of existing networks and the reality of domestic and international AIR networks, reports on the implementation of AIR related to urban development and trial collaborations between AIR and art universities, and a discussion about the possibilities for specific collaborative projects pivoted on an international microresidence network. *This forum will be held as part of a pre-event to the Saitama Triennale 2016, and will involve the participation of the HomeBase Project (founder Anat Litwin), a nomadic form of microresidence that has taken place to date in Israel, Berlin and New York. HomeBase will be participating both in the pre-event and in the actual event in 2016. The following organizations have already registered to take part in the Microresidence Forum 2015.